Saturday, April 16th 11:30 a.m. 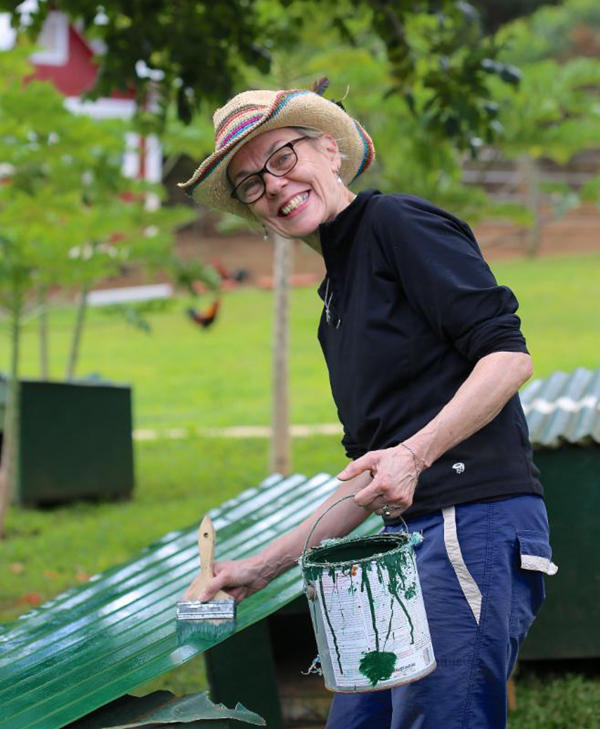 It's time for a community volunteer work party at Leilani Farm Sanctuary of Maui! The rescued animals on 8 lush acres in Haiku need our help with some basic farm chores. Volunteers just need a willingness to help. Instructions and equipment will be provided. Invite your friends to join us. Many hands make light work! Please bring water and sunscreen; and wear a hat and sturdy clothes. Volunteers need to be 15 years of age. If you want to attend the Farm Tour beforehand (10 a.m.) and get to know the animals you'll be helping, tour reservations are required. Big Wave Kombucha and The Flatbread Company will provide drinks and vegan pizza for volunteers!